Beautiful main door apartment which has been recently refurbished and is a 10 minute walk from Princes Street. Fully furnished with great amenities nearby and direct bus routes into town. This is a lovely newly refurbished main door flat in a great part of Edinburgh. It comprises of a main sitting room with a double sofa bed, double bedroom with ample storage and a kitchen off the main room with cooker, microwave, washing machine and tea and coffee making facilities. There is a WC and a separate shower room with a roomy changing room attached so plenty of space to get ready for a night out. The location is fantastic - the Royal Botanic Gardens are a 10 minute walk one direction and Princes Street and the centre of Edinburgh are 10 minutes in the opposite direction. There are 2 supermarkets across the road as well as a lovely coffee shops and restaurants a couple of minutes stroll away. If you don't want to walk, then a bus route is at the end of the street which will take you right into the centre of town. The bedroom has been fitted with a very comfortable King size bed with a high quality mattress so you know that you will get a good nights sleep. 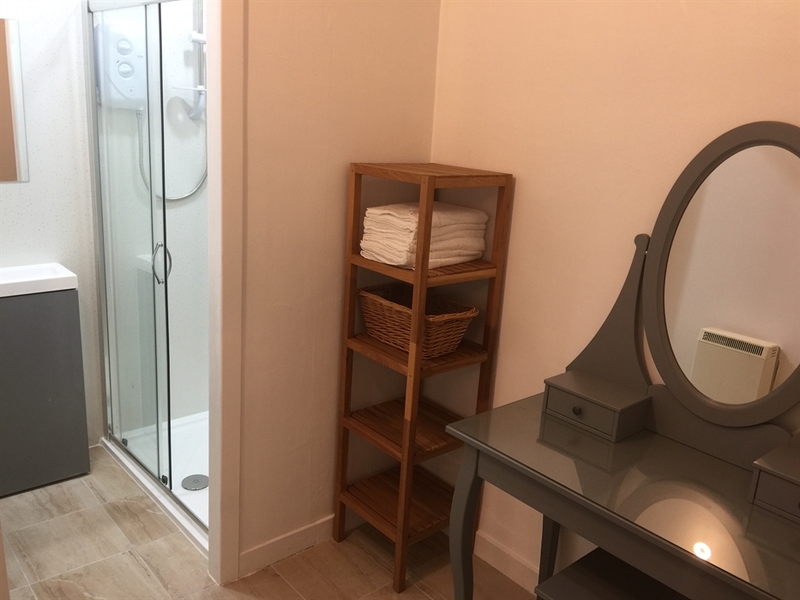 The shower room has just been renewed and comprises of an electric shower with a changing room attached so that there is plenty of room to get ready for a night out. If you have children, we can also provide a travel cot. There are a selection of games and books if you'd like to relax and a large TV with freeview. We have also provided high speed broadband too so if you need to work, then at least you can relax in the flat whilst doing so.